In a post last week, American Pompeii: After the Food Court Closes, we published photos of the food court – surreal, with its neon lights and its sci-fi paintings – at the mostly abandoned White Flint Mall, which is slated for demolition. 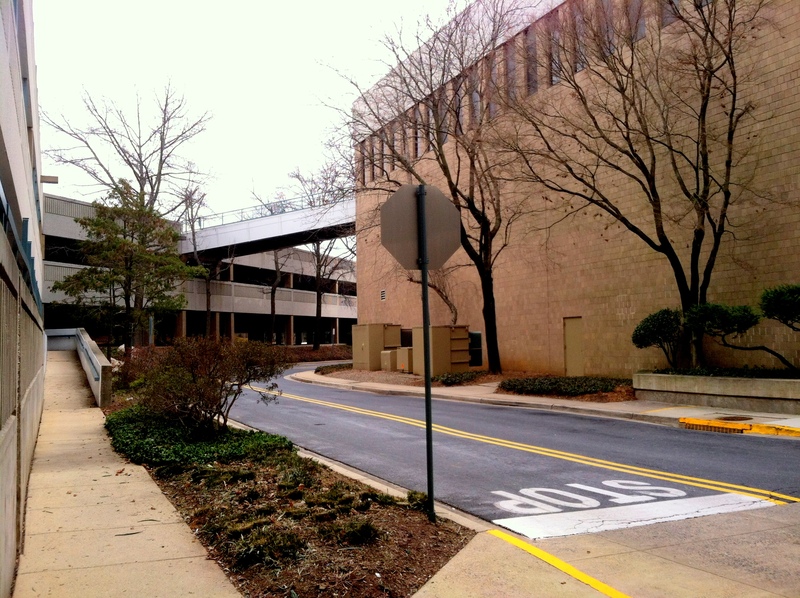 Earlier this month, a judge once again blocked an attempt to halt the redevelopment. 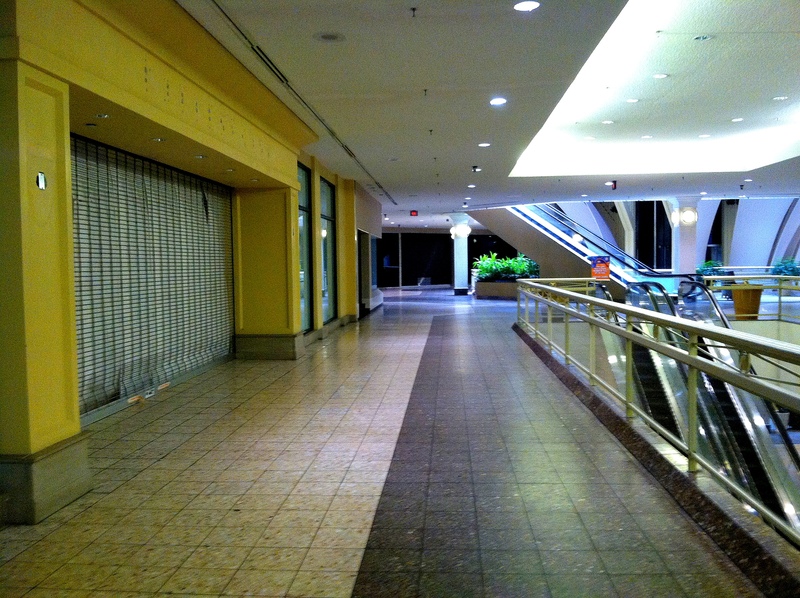 The mall is spotless. 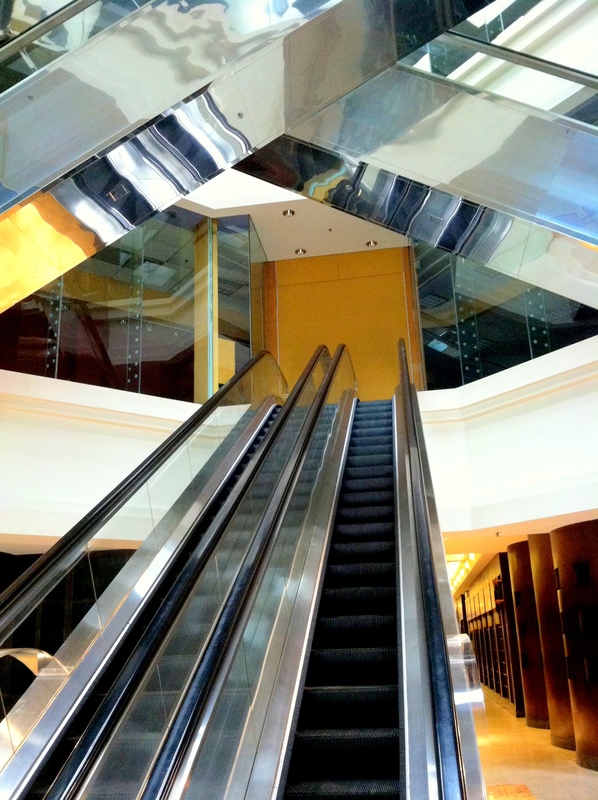 It’s mostly empty of people, but still open for visitors and all elevators are in operation. Muzak plays in the background. 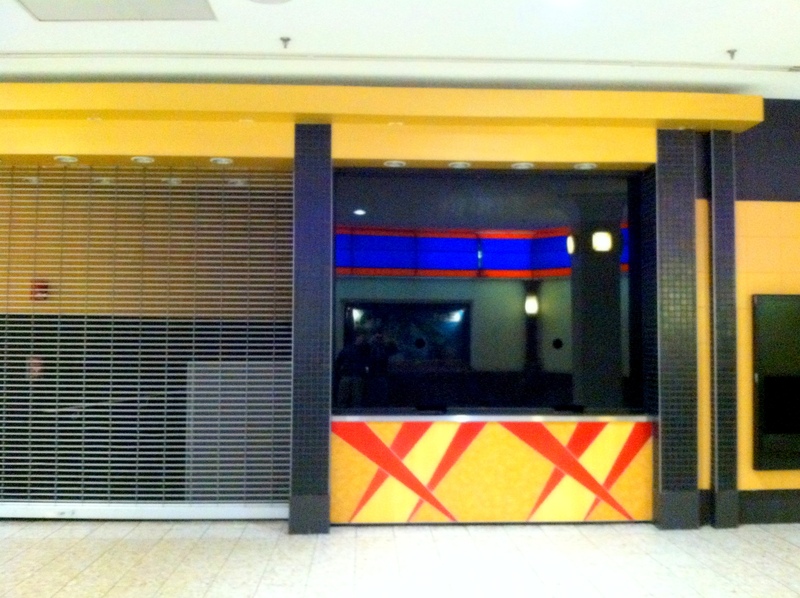 There are still distinct storefronts (a Godiva is especially identifiable), but they’re shuttered and the names of the stores have been removed. 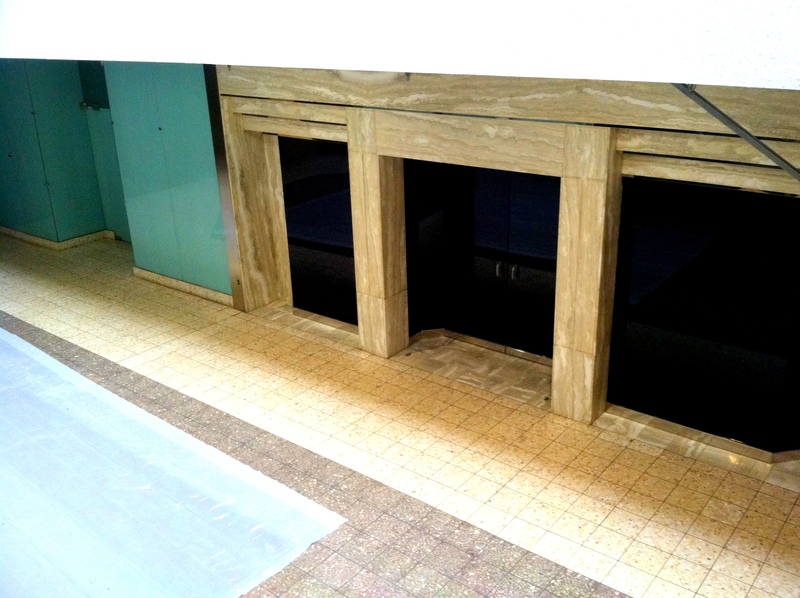 Through a grate, a single light bulb illuminates the concession stand at the old movie theater. It’s pretty cliché to describe something as out of a Twilight Zone episode, but in this case, the metaphor’s apt. 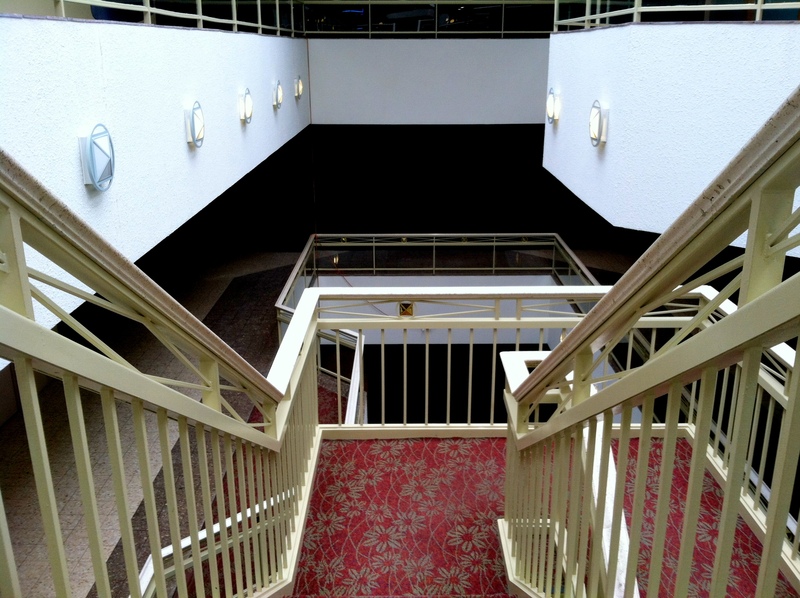 “Stopover in a Quiet Town” and “Where Is Everybody?” spring to mind. Given the popularity of last week’s photos – with coverage over at Gawker, BuzzFeed, Curbed, Saveur, Yahoo! 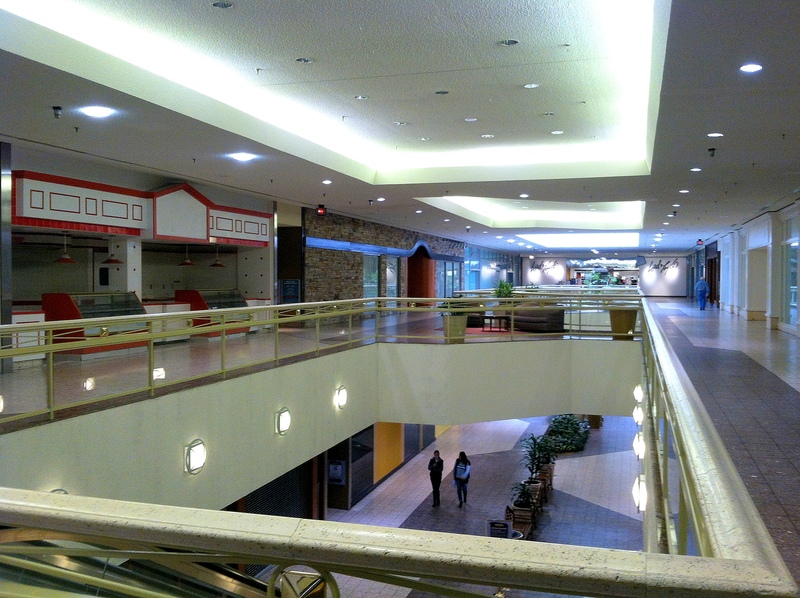 News, Marginal Revolution, the Washington Examiner, and elsewhere – Duck Pie is publishing more photos from the same trip to White Flint Mall. Enjoy! 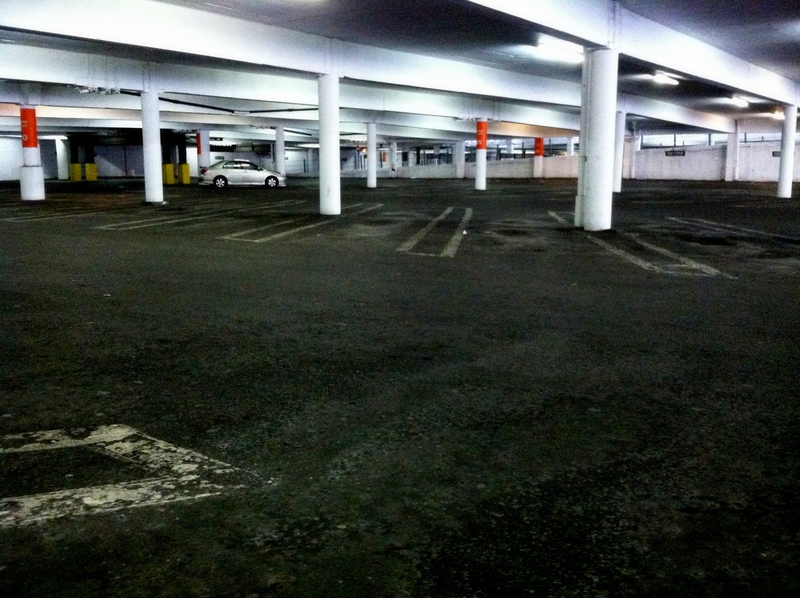 Parking garage at White Flint Mall at noon on a Saturday. 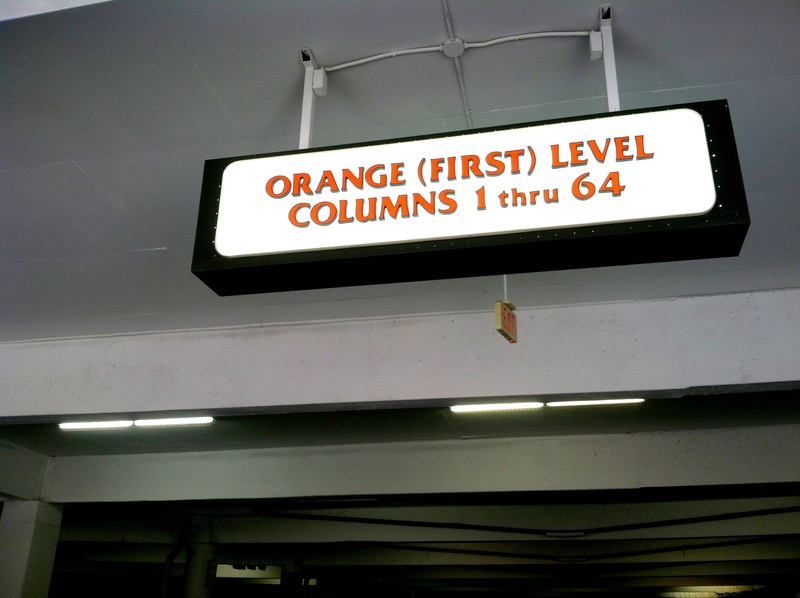 Remember where you parked: Orange Level, column 62. 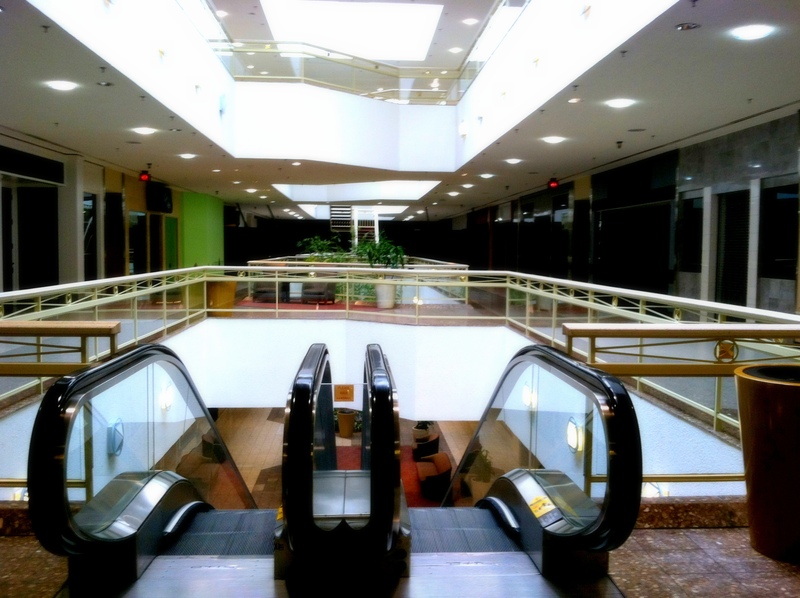 Exterior of the mall, no one in sight. 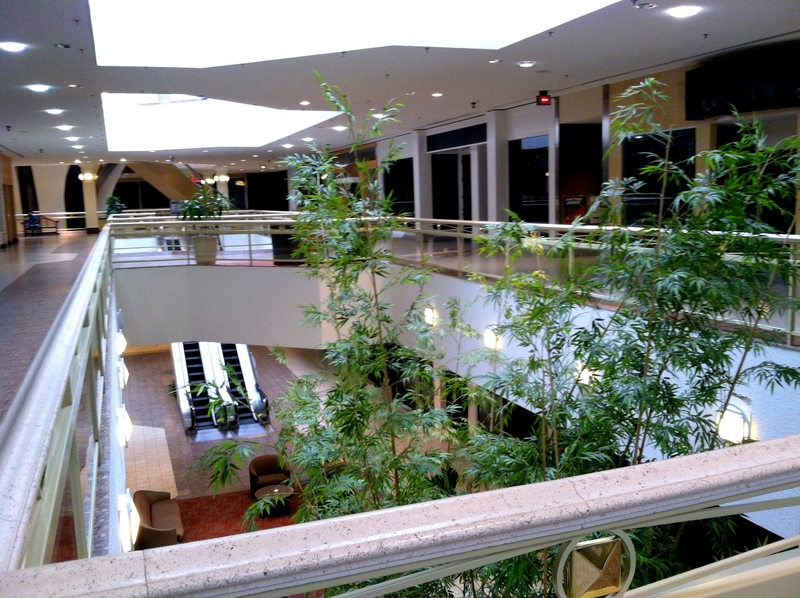 View over one wing of the mall toward the still operational Lord & Taylor. 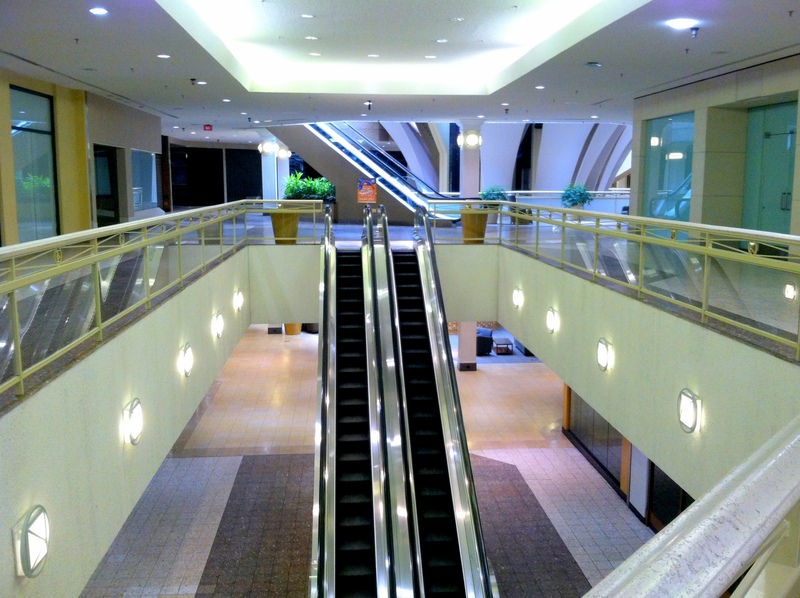 The mall is empty — silent, save for the whirr of the escalators and the Muzak piped over the loudspeakers. 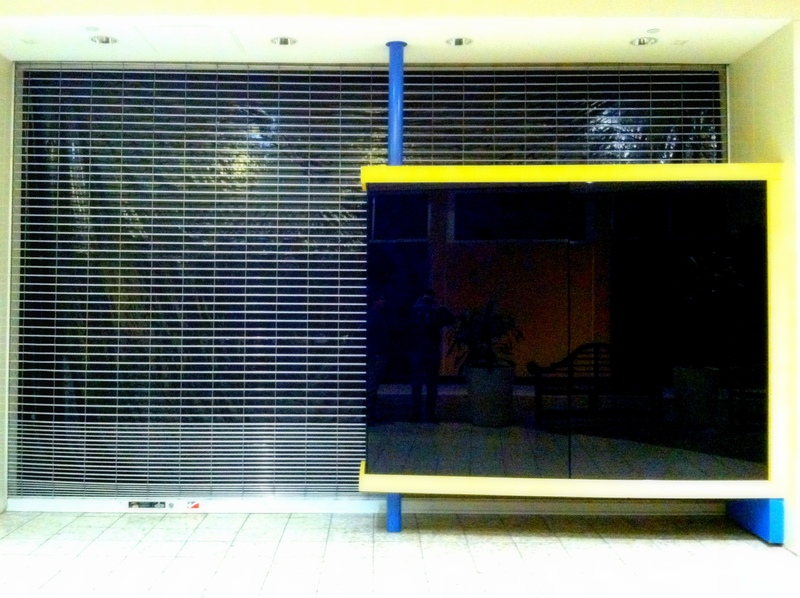 The stores are all shuttered. 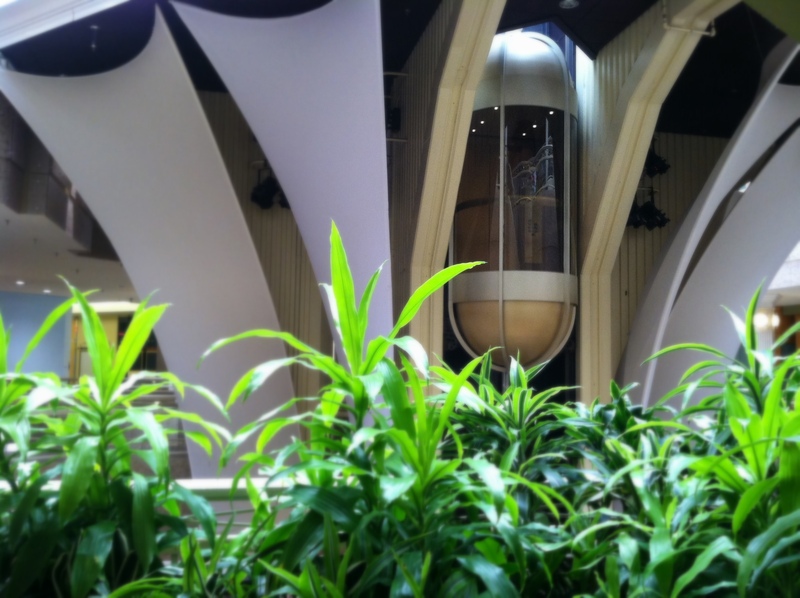 The last days of the Great Glass Elevator. Now Playing: 28 Days Later. 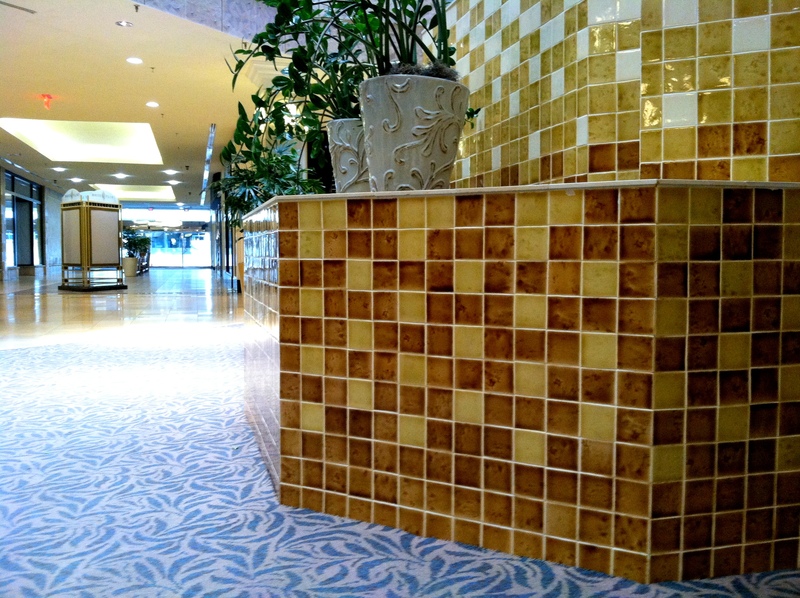 Particularly attractive period tile and stylish period carpeting in the mall’s atrium. 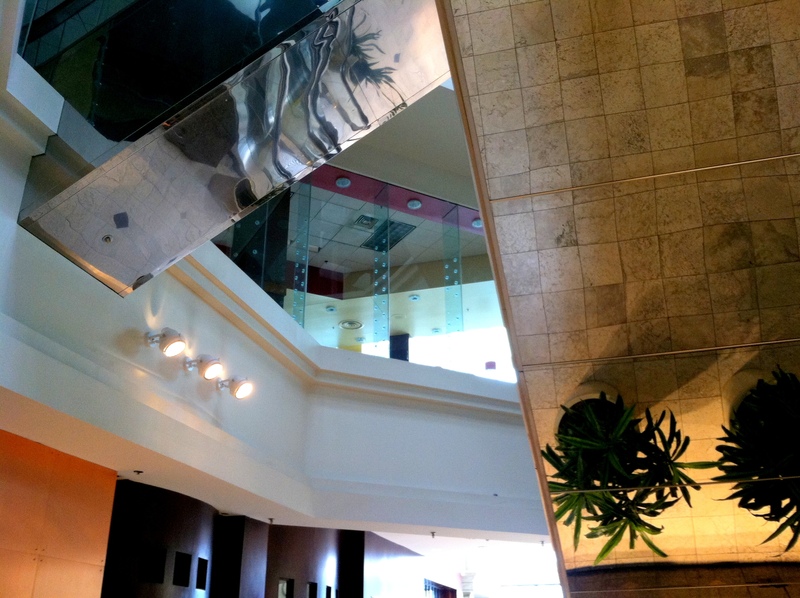 Mirrored undersides to escalators were apparently a thing. But who will water the bamboo forests of White Flint? 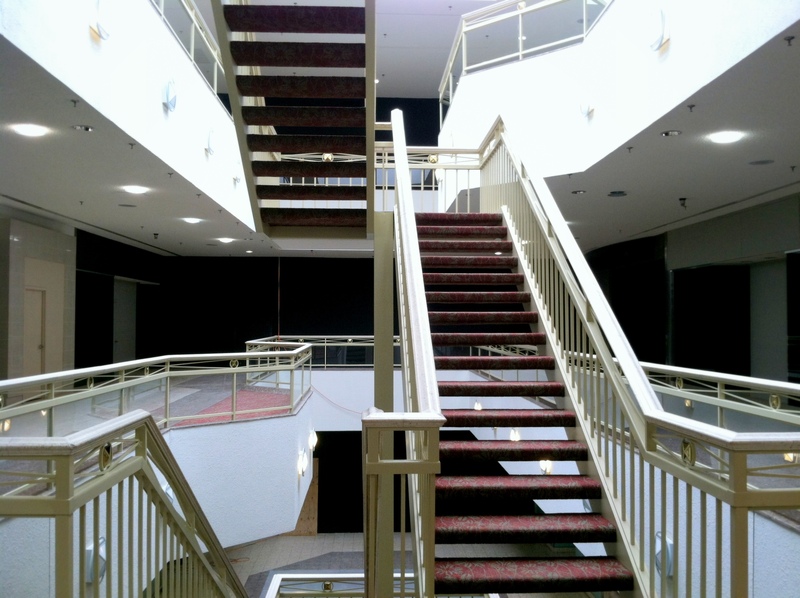 Fascinating that it’s so clean, almost devoid of dust – why would someone pay the interior cleaning costs (for years apparently) in a shuttered mall?